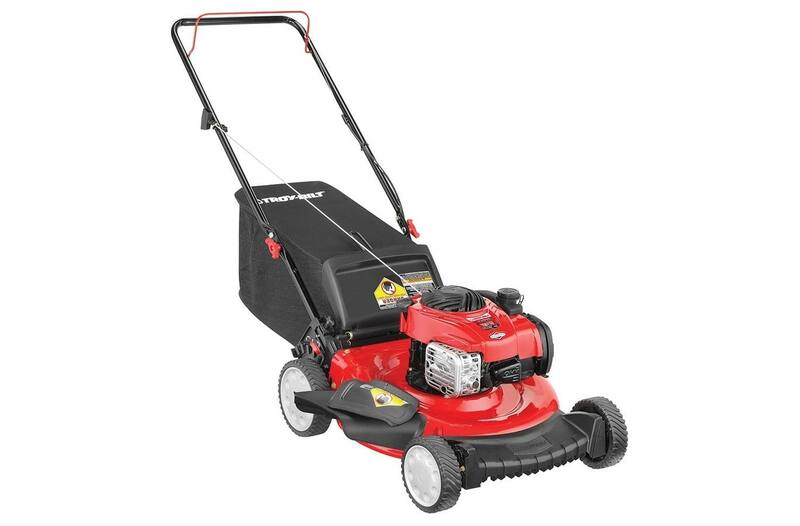 Troy-Bilt's TB110 walk-behind push lawn mower comes equipped with a dependable, easy starting 140cc* Briggs & Stratton® OHV engine. The innovative TriAction® cutting system features a rake bumper to lift grass upright, a specially designed blade for a finer mulch and a symmetrical deck for superior grass flow, eliminating clumping. The TB110 push lawn mower comes with a choice of side discharge, mulching or rear bagging, putting you in control, with a standard 1.9-bushel bag included.